Summerfield was the first community launched when Lakewood Ranch was converted from an expanse of agricultural land into a master planned community. Covering 8500 acres of development with a number of preserved woodlands and wetlands, Lakewood Ranch has since become an award-winning residential community with prime properties and world class amenities. As a result, Summerfield real estate is considered one of the most attractive investments this side of Florida. With floor areas ranging from 1100 to 2400 square feet set in a tranquil environment, the options for Summerfield homes for sale vary from the $200s to $400s price points. The homes may either back up to a pristine lake or be built along a nature preserve. Additionally, the selection of residential properties differs with each neighborhood within Summerfield. Summerfield Hollow, one of the village’s neighborhoods, offers condo properties surrounded by wooded preserves and are priced in the $100s. Summerfield sits on the northern part of Lakewood Ranch, just south of State Road 70. This location provides residents with easy access to the commercial areas on the thoroughfare. There is a Publix Supermarket just across SR 70, along with several banks and a gas station. Nearby Palmbrush Trail offers a daycare, some eateries, and other businesses. Moreover, there are several places of worship within the vicinity. Schools were a priority in Lakewood Ranch’s master design, and the closest to Summerfield is the Braden River Elementary and Middle School on River Club Boulevard. Others schools in the area include the highly rated R. Dan Nolan Middle School and Gilbert W. McNeal Elementary. For families with school-age children, there are several community parks all over Lakewood Ranch, including Summerfield’s own. Summerfield Community Park consists of 15 acres dedicated to a children’s playground set, two lighted tennis courts, a baseball field, and jogging paths. 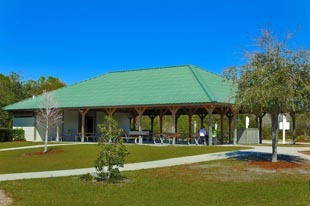 The whole family can come over to have a picnic at the pavilion, which also provides charcoal grills for a most memorable day at the park. Half of Lakewood Ranch’s 8500 acres was devoted to preserving the land’s natural beauty and building recreational facilities. The nature trails alone cover 150 miles of hiking and biking paths, offering plenty of opportunities for bird watching and wildlife observation—in addition to its fitness benefits. As far as sports and recreation go, Lakewood Ranch has so much to offer its residents. The Ranch is home to a number of ballparks and tennis courts, among others, and is also the venue for several fun-filled community activities and holiday events. At the Town Center, residents can enjoy a cup of coffee or an ice cream cone, have sushi or pizza, enjoy live music or simply sashay along Main Street for some window or actual shopping at the boutique-style stores. 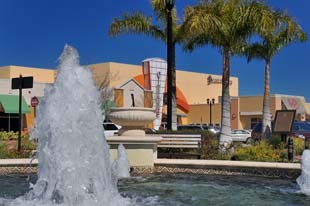 The cinema offers the latest movies, as well as critically acclaimed independent films, for Lakewood Ranch’s moviegoers. Healthcare services and facilities are available at the Lakewood Ranch Medical Center and adjacent Medical Office building. This lively social scene is very much active at Summerfield, where residents all take part in the healthy and balanced lifestyle that the community promotes. 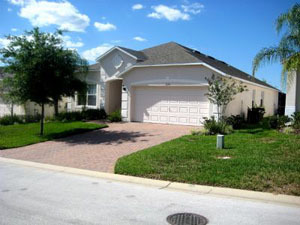 Below are all of the current real estate listings available for sale in Summerfield .